On August 12th I picked up my good friend Keris and took to the road… it wasn’t a very long one, with us just driving down to Liverpool to partake in an evening with David Levithan, but it was good! It was a mixture of sunshine and rain on the hour long drive to Liverpool but with good company it went quickly. I only had an idea of how to get to the city centre so I followed my sat nav on my phone which kindly directed me into the Mersey Tunnel and over to Birkenhead… just for those who don’t know, Birkenhead is the wrong side of the estuary if you want to be in Liverpool, and at two miles long is horrendous. We finally got out of the tunnel, parked the car and did a mad dash to the store where the Q&A was in full swing – yes, we were about half an hour late. Thankfully we still managed to get to hear David talk about collaborations with other authors and how he does that, his inspiration for Every Day and other things. David was hilariously funny and he came across as a lovely guy. He made us laugh when the Waterstones guy asked if there were any collaborations that hadn’t worked out for him and he mentioned that Jane Austin was a f*cking b*tch for not getting back to him! Then went on to tell us about trying to write with a partner who was obsessed with England in the 1920s and wanted to write about a vicar who wanted to be with the postmistress and David took it apart and changed it so that the vicar was actually in love with a choir boy! I could just imagine how that went down when his partner saw it! The inspiration for Every Day came to him on a walk home, or to, work and he just thought ‘what if we woke up in a different body every single day.’ And the road to publication being a long one, but luckily for him he was working in the industry so found he knew people that could help with it. He did mention that working in the industry doesn’t necessarily help you get published though as he was in it for about ten years before he managed it! I was interested to hear that he started writing Boy Meets Boy because he wanted to write the book that he wanted to see on the shelves and he wrote it as a ‘short story’ for some friends on Valentines Day but it got bigger and bigger and managed to get into the right hands. Then there was talk of movies and how lucky David felt knowing that Nick and Norah’s Infinite Playlist was made into a brilliant movie that kept very close the the story and even told us that theres possibility that a Naomi and Ely’s No Kiss List movie was on its way! With audience questions David confirmed that he has plans to write a book with an asexual character, and its something he and UKYA author James Dawson talk about a lot. Also he has an idea for a book written entirely in verse following on from the versed short stories in How They Met, and the musical elements in Will Grayson, Will Grayson. David apparently has one book written entirely in verse which is called The Realm Of Possibility but unfortunately that hasn’t been published in the UK – that may not stop me from getting a copy though as I love verse novels! From there we went into a looooong signing queue and I managed to have a quick chat with David as he was signing my books, he mentioned that his friends in the US get confused when they see the Electric Monkey proofs as the books have nothing to do with a monkey getting his groove on! We think tried to talk about something different with all the people he signed for which was really sweet of him and I loved meeting him! After the signing me and Keris took to the streets of Liverpool and she showed me some very cool places. We ate at a Mexican street food type place called Lucha Libre which was amazing and I will definitely be going there again! Then we went home, managing not to go through the Mersey Tunnel or get lost. 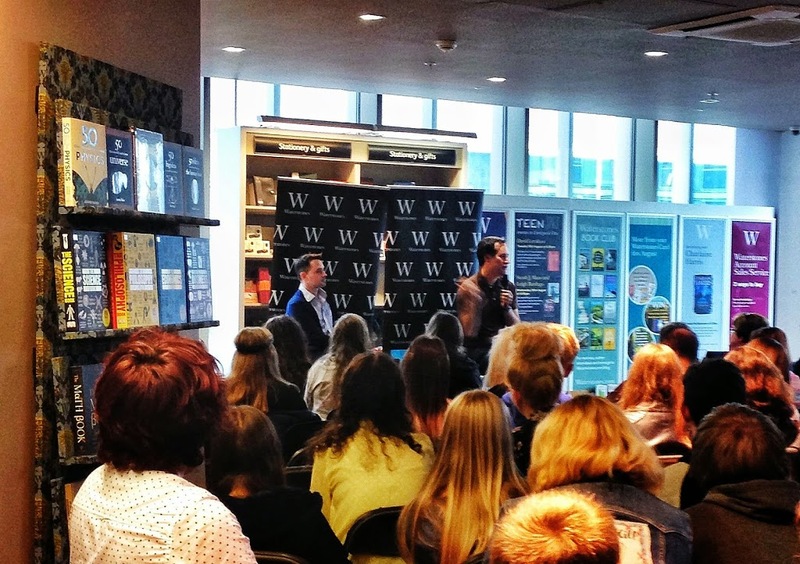 All in all it was a fairly awesome night and I hope there are more to come with Waterstones Liverpool One and other places!